Having guarded the regional and the rural so jealously against the disastrous march of time, France is suffering particularly from distressing demographic changes, changes which threaten to sweep the rug out from under her feet unless something happens soon. 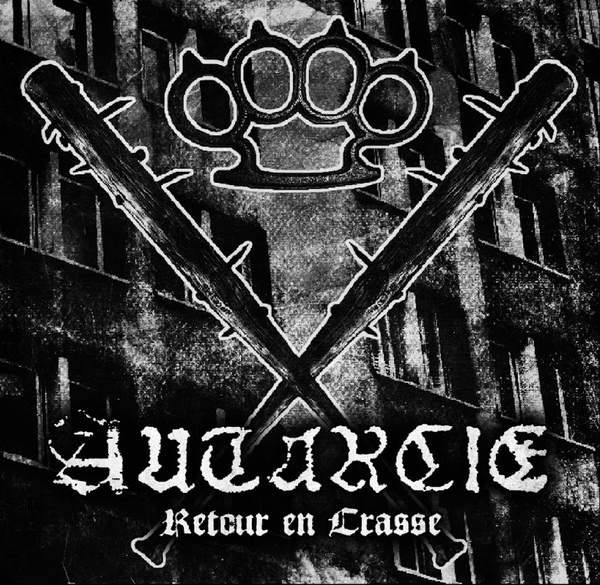 Leaving their Ultra-Rural bastion, Autarcie descend the mountain to the city, pouring scorn and their unique brand of despair upon this urban demographic: this is their Retour en crasse (EN: ‘Return to the filth’) from the pristine lands of the Haut-Doubs, as referenced in the opening lines of the album’s eponymous opener. Greetings Nokturn, and many thanks for taking the time for this interview. I have followed your work for some time, through Hasserbern, SvartKrig, Ciel Nocturne and Autarcie. However, it is the latter two bands which break away most dramatically from the usual black metal aesthetics. Could you tell me how Ciel Nocturne came about, and why then this project changed into Autarcie? What do you feel are the key differences between Ciel Nocturne and Autarcie both musically and thematically? Ave! Thanks for your interest in Autarcie. Often, people think that Autarcie is the “continuation” of Ciel Nocturne, but it’s wrong. These are two quite distinct projects: Ciel Nocturne was founded by my comrade Anti, while Autarcie is my own project (I founded it, I created the 2 logos and most of the visual aspects, and I compose 90% of the music). In Ciel Nocturne I’ve only played the drums, sang and wrote most of the lyrics, and sometimes played the bass. It was Anti who cared about the guitars lines and the songwriting. Now for Autarcie, I mind the drums, the vocals, the texts, and most lines of guitars and bass. Anti manages some lines of guitar too (especially lead/solo guitars) and the bass on the first albums. But sometimes there may be some musical similarities between Ciel Nocturne and Autarcie, especially on the few tracks composed by Anti. Concerning the themes and aesthetics, Ciel Nocturne was a “draft”; an abstract expression of various topics to be deeper discussed later with Autarcie, in a more concrete way. Autarcie’s cradle, the Franche Comté region, is speckled with clear lakes, the Jura mountains, verdant forests, rivers, waterfalls and villages, and more than a few wine cellars, the latter perhaps of paramount importance to the band! One of the last areas in France to still practise serfdom, the region has a great wealth of history, folklore and attachment to traditions (much like its neighbouring Switzerland). Would you be able to tell us a little of your experiences exploring your region, and what prompted to you use these themes as inspiration for Autarcie’s music, rather than the more ‘traditional’ themes found in black metal? I’m fortunate to live in a region where the landscapes, history and heritage are exceptional. I can’t count my days spent in the wilderness, exploring the ruins of old military forts and medieval castles scattered throughout the region. These ghostly places are full of history, where I often come to look for calm and serenity, away from the urban tumult. Of course, all of this gives me a lot of inspiration, so this passion is naturally bound to my musical universe, in a very intuitive way. 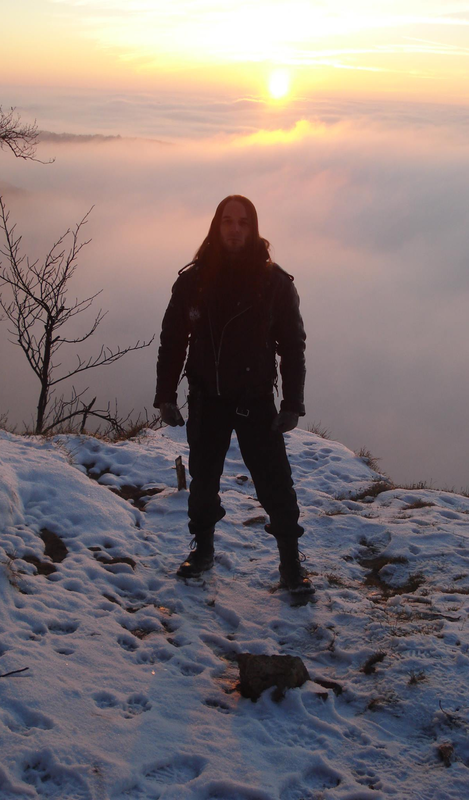 I never wanted to create just another “basic” black metal band among others (with hackneyed classical themes); I always wanted to do what I like with my own interests and my own vision. In previous reviews I have likened listening to Autarcie to a form of ‘audial tourism’. Do you set out with each record to invoke certain parts of the Franche-Comté area and its histories, and how do you see Autarcie evolving with each release? Throughout our albums, there are some recurring themes: the evocation of the illustrious past of France (and especially that of our native region, Franche-Comté) through historical events or local legends, as opposed to the daily crap that marks the current times. Our fascination for the mystical darkness of the past (in ancient/Medieval times), our “complicated” relation with the urban world, and our atavistic attachment to our region are also very present in our music. Finally, Autarcie hasn’t changed much over the albums. We always stayed in the same guidelines. I think only the quality of our sound has improved since we tried to make some efforts to this aspect. All of the groups you have been involved with where/are members of the Civitas Maxima Sequanorum, a coterie of black metal strictly from the Franche-Comté region. I am curious as to why you chose the name of the Sequani (the Latin name given to the Gallic peoples living in this area) rather than using (for example) the Medieval Kingdom of Burgundy as inspiration, and will we ever see Autarcie using the Franc-Comtois or Arpitan languages, native to the Franche-Comté soil? Sure, we could have referred to the Burgundians, whose history is particularly rich and interesting. The term “Sequani” expresses a Celtic connotation (Sequana is the name of a Celtic divinity). It’s somewhat of a tribute to the people who lived in our region in the Gallo-Roman times, before the arrival of Christianity. I preferred to use the term “Sequani”, which evokes the Celtic/pagan past of our heritage, instead of referring explicitly to Medieval/Christian times. We see in France a resurgence of black metal, especially those who utilise their own regional histories and landscapes for inspiration. Regional (rather than ‘Departmental’) identity has always remained strong throughout France, despite the Revolution, and I wondered if you had any thoughts on why now these groups (i.e. Peste Noire, Sale Freux, Baise Ma Hache, Autarcie, Caverne, Beitio Bourrudo etc.) are gaining a wider following and greater momentum, both in France and abroad? We live in the era of globalization where everything is standardized… Maybe some people are tired of always listening to the same formatted soup, maybe they are now looking for rustic and original authenticity from exceptional terroirs. I see a parallel with beer: the connoisseur will always prefer a good brewed beer handcrafted with passion, rather than any industrial soulless generic brand of beer with an insipid taste, formatted to please the greatest number. Your new album Retour en Crasse expands upon the route expressed in Groupuscule rather than what could be regarded as a ‘classic’ Autarcie sound as expressed in Ultra-Rural, Époque revolue etc. There is an immediacy, a sense of desperate and angry urgency, all of which is reflected in the confrontational and aggressive artwork in the album. Could you explain a little as to why you felt this was the right moment to delve deeper into this sound rather than continue with the more rural and pastoral aesthetic as expressed previously? As I explained earlier, there are two main facets in the music of Autarcie: one dedicated to the contemplation of nature, to the past and the History of our region, and our ancestral heritage. The other is the hatred against the modern urban world, its deviance, and its creeping multiculturalism that plunges our region in filth. This second aspect was already discussed with our album Groupuscule. I decided to revisit these issues with our new album, because these themes fit perfectly in the news: the hordes of “refugees” who flock by thousands to the borders of Europe, desperate farmers who die by inches, the increasing desertification of the rural world… All these topics are currently in the spotlight, which influences me (consciously or not) in the composition of my music. However, I’ll not abandon the themes related to nature and the Franc-Comtois folklore. Because of this alternation of various themes/aesthetics in Autarcie, I think I’ll mainly return on these themes in the next album. What inspired the title of this album, and did the process of its creation differ to that of (for example) Ultra-Rural? I’m fortunate to have a family “stronghold” near the mountains of Risoux (on the border between the Haut-Doubs and Jura). Every year I spend there a week or two with my wife. I can recharge myself thanks to the calm of nature, the simple life away from the urban bustle and daily concerns, and a complete isolation (no internet, bad TV reception…). It gives me a lot of inspiration to write songs that reflect themes close to nature and past times. Unfortunately, all good things must end, and personal/professional obligations require us to leave sooner or later this quiet place, to return to the abrupt reality of “civilization”. With the title Retour en crasse (which can be translated as ‘Back to the dirt’) I tried to express this feeling of hatred and despair I feel when I return to my hometown after an absence of several days spent in a quiet environment, at the heart of the wilderness. The title of this album is also a sort of wordplay with the phrase Retour en grâce (‘Back in grace’). I changed the original sense to give it a negative aspect, associated with filth and rejection of the urban/modern world. Where Ultra-Rural expresses a form of fighting for certain ideals, Retour en crasse is about despair and resignation. Obviously within Autarcie there is a delight in the past, the ancient and time past and this is often reflected in other albums’ subject matter and lyrical inspiration, however Retour… has the here and now at its heart. Which current (or recently deceased, i.e. Dominique Venner) French writers and musicians do you feel accurately reflect our times? For those who are interested, and who want to understand a little the current situation in France (economic/political/social) I recommend reading three fundamental works (accessible to the general public): Comprendre l’Empire by Alain Soral, La France orange mécanique by Laurent Obertone, and Le suicide Français by Eric Zemmour. Let me be clear: I am not a “disciple” of these authors, I’m just saying that their analyses of the current French society are very interesting and relevant, and they reveal some truths long hidden by our political leaders and our mass media. Musically, I can’t say precisely. There are several current French bands that I respect and I appreciate, but I don’t know clearly if their work is directly influenced by current events. Everyone develops his own musical universe, with its references and interests. I can’t speak for them. As previously discussed, there is a greater sense of vigorous protest in Retour en crasse, as if you are ‘raising the alarm’ – within the artwork there is a direct contrast in imagery between the ‘racaille’, pollution, inner city culture and the antifa brigade, and that of the farmer and local traditions. Could you elaborate on the situation and main issues as you see it which face the Franche-Comté region, and France as a whole? I think we are living in a particularly disgusting era, where the general alienation of the people is mixed with catastrophic policies on economic and social topics, conducted by maleficent leaders. Added to that there is a supernatural wave of illegal immigration (hundreds of thousands of so-called “refugees” arrive everyday at the gates of Europe). The situation is extremely frightful. I see every single day the direct consequences in my own town (explosions of delinquency, a strong increase of insecurity, social aberrations…) and in terms of France as a whole, it’s a complete disaster. I have no hope for the future of my country. If I had enough funds, I would like go far away from this nonsense. Unfortunately we are condemned to stay here and suffer from all this decay and injustice. Things are going from bad to worse, whether in France or in Europe, unless the people finally wake up. But I don’t have much hope for that. I think people are too stupid and manipulated to be able to break their chains of torpor and ignorance. Do you feel that Autarcie will continue along its current route, or will we see more of the rural nostalgia that inspired Horizons… and Époque Revolue? Despite its urban focus, we still see some of the regional sounding dirt pervading Retour… which ties it into the mud and forests of Franche-Comté – I take it that we shan’t be seeing sampled beats and rap battles inserted into your future songs to express the urban crisis?! My thanks to Nokturn for his time, words, music and the photographs used in this piece, which are by his hand exclusively. The ideological direction of this particular project on their new album reminds me oddly enough of that the Irish group Primordial has taken from “The Gathering Wilderness” onwards. It’s a similar juxtaposition of national romanticism oriented from a perspective on historical folklore on one hand, though without the regionalist sentiment of Autarcie of course, with the existential alienation and cultural uprooting inherent in modern civilization that both groups’ overall aesthetic and “band concept” run on that tension. Even his remarks on the Syrian Civil War and resulting refugee crisis have a parallel there, as Primordial’s latest album has a song about the bitter aftermath of the Arab Spring.